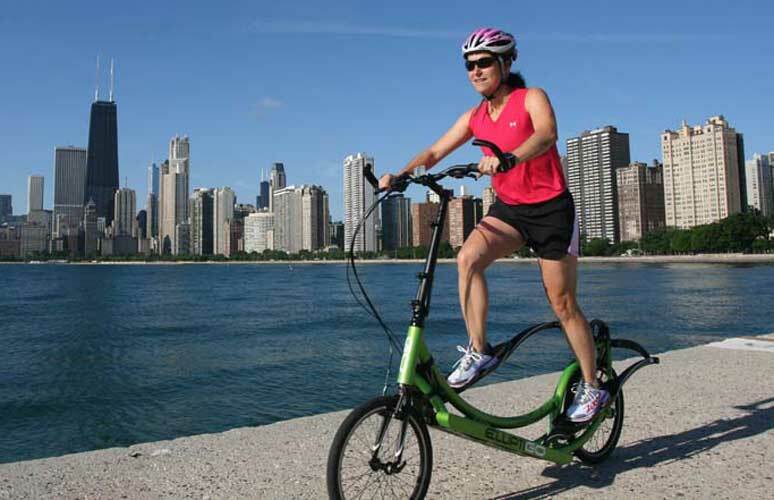 The ElliptiGO 8C has the versatility to give you the exercise experience you're looking for, whether you are a competitive athlete looking to improve your cardiovascular fitness or someone who wants to enjoy comfortable and fun outdoor exercise. The 8C is our most popular model and the elliptical cycle with the best balance of performance and cost. It's a great tool for marathon training programs, for staying fit while rehabbing an IT band, stress fracture, or other injury, or for taking in the sights while you get your exercise. 8-Speed Shimano hub enables 25 mph sprints and the gearing to climb the steepest hills. Patented Ellipti-drive system provides for a comfortable, fun, low-impact ride.